Taylor, Mississippi is tucked away just four miles from Oxford’s city limits. In the middle of the small town rests “Plein Air,” a multipurpose traditional neighborhood development. Plein Air was the vision of Campbell McCool, an Ole Miss alum with 170 years worth of family ties to the Oxford area. Born in New Orleans, McCool remained in the Southeast to attend Ole Miss and eventually made his way to Atlanta. McCool returned to Oxford after selling his marketing firm, McCool Communications in Atlanta in 2001. After working for the Chancellor’s Office for a year, McCool missed the entrepreneurial side of things and began looking for the right opportunity. Plein Air was designed with a sense of community that McCool felt was unique to the area. For McCool, Taylor provided the perfect backdrop for his development. So far, 51 houses have been built with 200 set to be constructed. 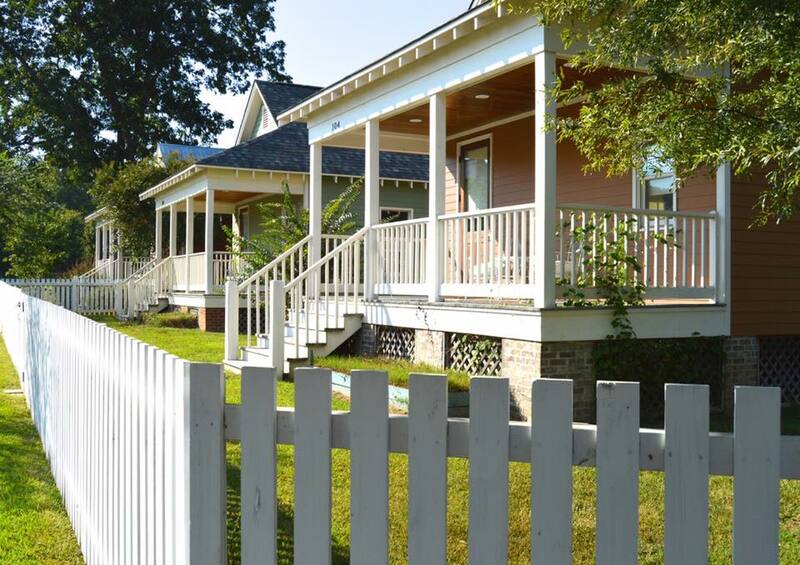 Each home is outfitted with a unique front porch. McCool noted that the idea behind the front porch is a nod to the classic style of neighborhoods that emphasized the sense of community. McCool wanted to “hide the cars” and give residents a chance to walk to where they needed to go and build a true town feel within this neighborhood. Speakers were brought in for a soon-to-be annual conference on the importance of the front porch in the American South. McCool spoke of the decline of the front porch and the traditional neighborhood with the advent of the automobile and other modern appliances, such as air conditioning and television. “Our whole development is designed as a throwback to the way people lived before all that, and a central tenant to that is the front porch,” McCool said. Plein Air is just getting started as they are slated to add not only more homes, but McCool has a bright view of the future for his development. With seven acres set aside for commercial space, McCool is confident that 20-30 new locally owned businesses will be added over the next eight years, in addition to loft style apartments, office buildings and restaurants. One restaurant already resides in Plein Air. Opened in June 2016 by husband and wife Angie Sicurezza and Nick Rappond, Grit has been hailed by Mississippi Magazine as “one of the finest restaurants in the state.” With local seafood flown in fresh each day and other fresh ingredients, the menu changes with the seasons. McCool recognizes the hard work that has resulted in the success of Grit. “They’re both very experienced and very talented. It’s an incredibly ambitious menu, and they work extremely hard to get it right. They’re doing it right, and they’re just hustling,” McCool said. Plein Air hosted 35 weddings over the past year, along with numerous other events including concerts, speakers and art festivals. The Mill is a 12,000 square-foot venue used for many events and will continue to grow as Plein Air grows. With Oxford so close, McCool noted that Taylor has become a beneficiary of the growth that the area is seeing. Plein Air began development in 2006, just two years before the collapse of the US economy. While McCool realized “that wasn’t in the business plan,” they were able to survive and thrive as the economy rebounded. While Plein Air still has ways to go before being complete, McCool has a development and vision to be proud of. “We stayed true to our vision, and now we can’t build fast enough,” McCool said with a smile. LOVE PLEIN AIR!! First Conference of the Front Porch was amazing. We almost moved here but we had just moved and didn’t want to move again (although we may move there when we retire) the homes are gorgeous and its not far from Oxford! Oldstyle exterior with new interiors!